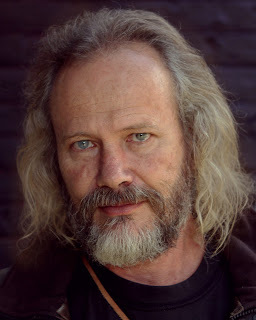 Paul Myburgh, is a multiple award winning documentary film maker, anthropologist and author of the recently published book, “The Bushman Winter Has Come“. This book reveals the life lessons from seven years of his life spent living amongst the Kalahari Bushmen . . . a life which has been a study of the human journey between heaven and earth, an immersion into what it means to be human. (Read more about Paul here). Paul is now offering private breakthrough sessions for individuals, and motivational talks for groups. In private sessions with Paul, he has a way of getting to the root of what you are experiencing as a challenge, and his wisdom, intuition and ability to tune into the issue is masterful. He will unravel issues that you might be battling with over and over again, to help you to break through the issue and develop further. If you would like to have a 2 hour session with Paul, please get in touch with Telana to make an appointment or book a talk. Sessions are held in Johannesburg and Cape Town, but can be arranged at a convenient place or done via skype. “My conversations with people are an endeavor to reveal what lies behind the veil of emotions which are thrown out as a decoy to disguise the real question asked by the inner being. In our hardened physical world of today, we travel in endless circles of confusion, trying in vain to navigate towards truth by avoiding it, by painting it with an array of descriptive excuses that keep us always just far enough away from ourselves. We have become adept in the use of psychological descriptive terminology, accustomed to the practice of denial, imagining even that it is something outside of ourselves that we deny. Our whole address is fear based, encouraging the separation from Self. The Soul asks, and waits . . . and we barely listen. “The session was really good for me, I’m still unpacking it and the whole experience. A lot was confirmed for me in talking to Paul. I had made some decisions I wasn’t sure about and he was incredibly affirming and supportive in his way and his words. Paul also encouraged me a lot and I’m already seeing the shifts in my awareness due to that. I found him gentle, powerful and insightful – exactly what I needed.” – Katlego Kolobe – Specialist Facilitator & Executive Coach, Johannesburg, South Africa. “One session with Paul is equal to or better than many months of Therapy. Our inner unrest manifests in our outer state and Paul’s coaching style gets to the causal point of that inner unrest.” – Margaret Squire, Beverly, Massachusetts, USA. “Just to say thanks for organising Paul Myburgh to give the talk. He is inspirational. A genuine & rare-to-find human being that is walking the path of ‘know thyself’ and for the betterment of humanity. “I have found my time with Paul transformational and healing, and some of the most worthwhile conversations I have had- even the tough ones. His insights and way of working on an issue is powerful and extremely useful, and I know others will benefit tremendously too. I highly recommend spending one-on-one time with him.” – Telana Simpson, Johannesburg, South Africa. “On Wednesday night we had the screening of our documentaries which was attended by about 250 people. Our piece was shown last. Throughout the film people were uhming and ahhing in understanding and there was even laughter at some parts. At the end of the film the audience cheered and clapped for so long. People came up to us with congratulations, they all seemed blown away by your words and wanted to know more. So we want to thank you on behalf of everyone who has watched it and who will still watch it. A conversation has definitely started her in the little town of Grahamstown. Here is the online link to the piece. Let us know what you think :)” – Raphaela and Jacek, South Africa. Subscribe to Paul Myburg’s mailing list, for notification of his events and articles by emailing Telana. What might spirituality be? Part 2 is available here.